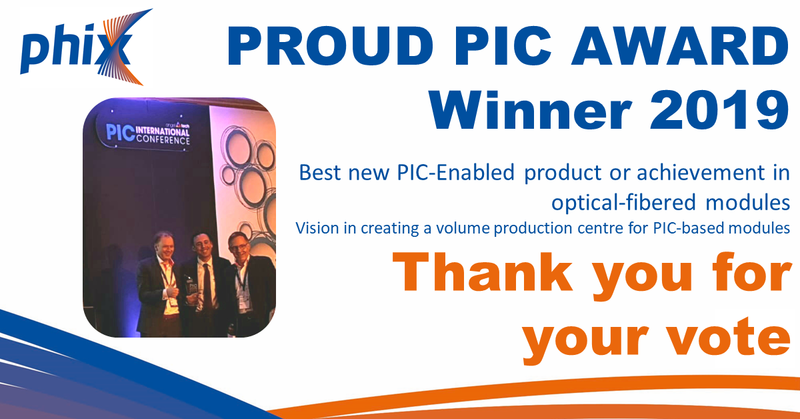 This afternoon, 26-03-2019 CEO Albert Hasper and COO Joost van Kerkhof received one of the prestegious PIC awards at the PIC International Conference through EPIC CTO Jose Pozo. We would like say a special thanks to our founders at LioniX International, investors and partners Fraunhofer Institute for Production Technology IPT, AIXEMTEC GmbH and PIXAPP Pilot Line for their continuous effort and stengthening our position. Thank you all for your continous support and vote!